Mayawati said like the previous budgets of the Narendra Modi government, this one was also "anti-poor and pro-capitalists". 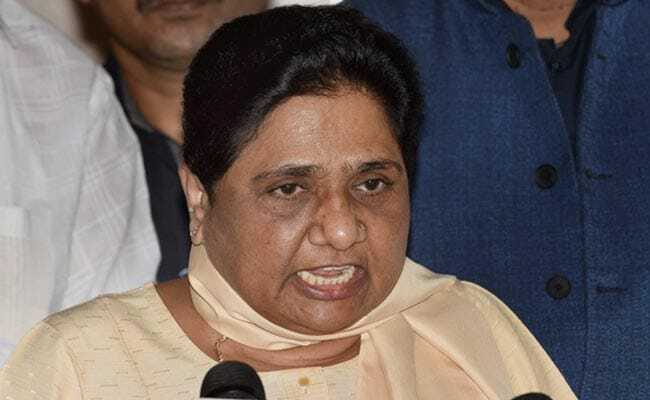 Mayawati accused the prime minister of making "misleading speeches and claims". Lucknow: BSP supremo Mayawati has dubbed the Union Budget presented in Parliament today as anti-poor and pro-capitalists. In a statement issued, she said like the previous budgets of the Narendra Modi government, this one was also "anti-poor and pro-capitalists". "What happened to Modi's promise of 'achchey din' he had made before the Lok Sabha polls in 2014?" she asked. Mayawati also accused the prime minister of making "misleading speeches and claims". Finance Minister Arun Jaitley today presented his fifth budget. It was the last full-fledged budget of the BJP-led NDA government before the next Lok Sabha polls, scheduled for 2019, and the ruling alliance hopes that its emphasis on rural sector will help it connect with masses.